A standard Seventies Sunday scene at Stranraer. Dalriada (behind) and Antrim Princess (in front) in October 1973. Sea of Tranquility. 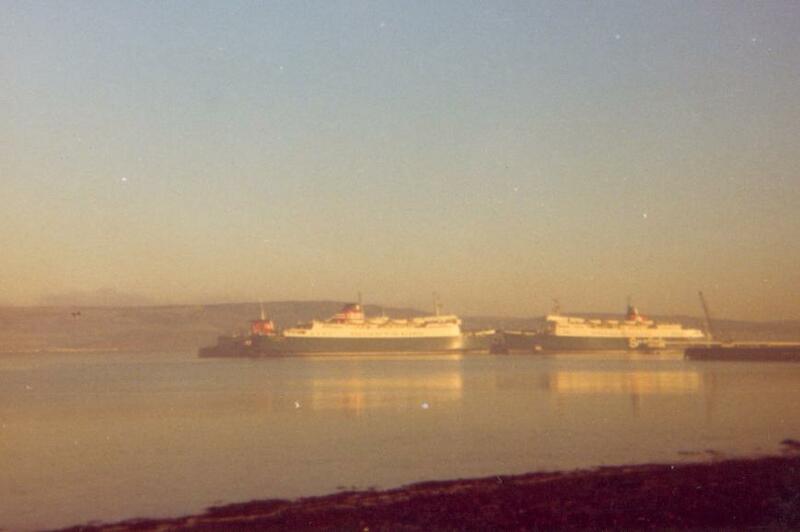 Dalriada, Ailsa Princess and Antrim Princess at Stranraer harbour on Boxing Day 1972. 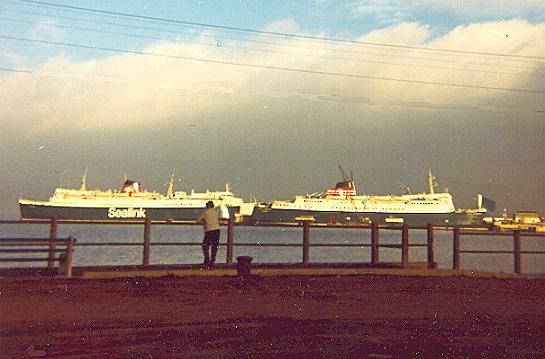 Dalriada, Holyhead Ferry I and Ailsa Princess at Stranraer in November 1972. The Holyhead covered for the refits of the Antrim (November) and Ailsa (March).